Shawn Christopher Mooney: Oil painting CAN mean easy clean up. Seriously! 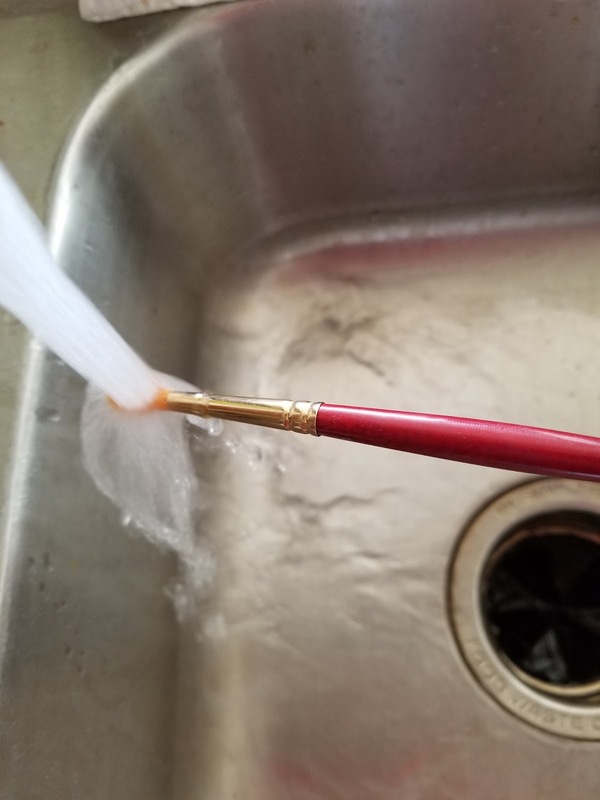 Oil painting CAN mean easy clean up. Seriously! If you're anything like me when I began painting I avoided oils like the plague. 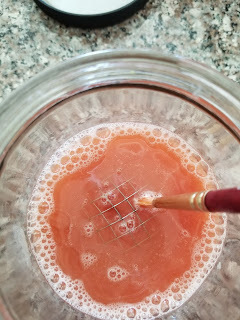 They seemed too complicated to me and the thought of cleaning up with harsh chemicals every time I felt the urge to paint was a little overwhelming. I stuck with Acrylic and that worked for me. The mysterious world of oil paint would have to wait, and wait it did. 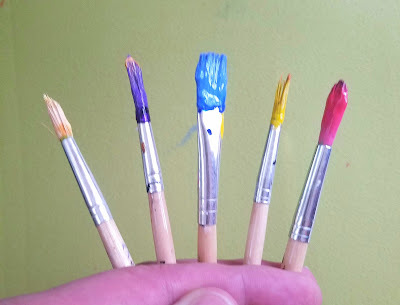 More than twenty years an artist before I was basically pushed into using them by my spouse. 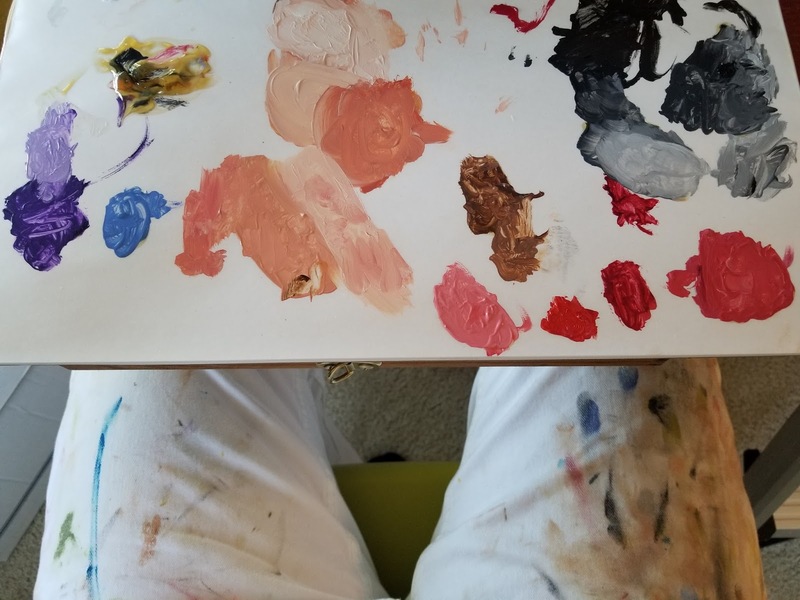 (I was gifted a french easel and a full set of oils and brushes for christmas. Oh, the nerve!) I couldn't let it sit around taunting me so I decided to begin my foray into the mysterious world of oils. Turns out... not so mysterious after all. That was all in my head. I've overcome my two main concerns/fears/obstacles to painting with oils. #1 was drying time and #2 was clean up. We'll talk about my bumbling mistakes in watching paint dry in some other post, this one is about easy clean up. I decided to write this one because more than one friend has expressed dismay at oil paints and clean up, then asked my advice!? I know! MY advice? I'm as shocked as you are. I am new to all of this but, if showing someone else what I'm doing will help them in any way, I'll give it a go. To start with, I use palette paper. Always use palette paper. This means I do not need to clean my palette, which could be quite messy. I just have to throw it away after reclaiming any paint that I can. 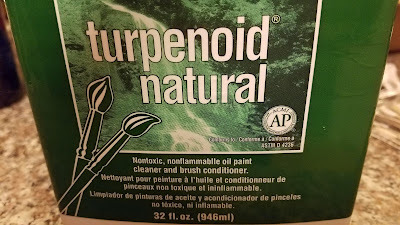 Next, instead of toxic, smelly, turpentine or the like, I found this Turpenoid Natural , an all natural. 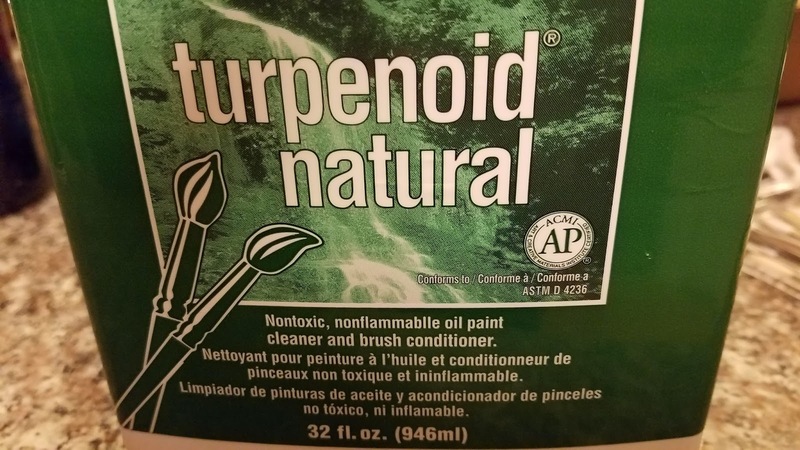 nontoxic, nonflammable brush cleaner and conditioner. It's a bit pricey at about $40 on average per 32 fl. oz. but if you buy it at Michael's and catch it on sale or at least with their always offered 40% off coupon online, it's not so bad. You can also find a good deal on Amazon every once in awhile. This method of using this product will make it last a very, very, very long time too, so, there's that. This and a jar with metal mesh changed my life. Seriously! 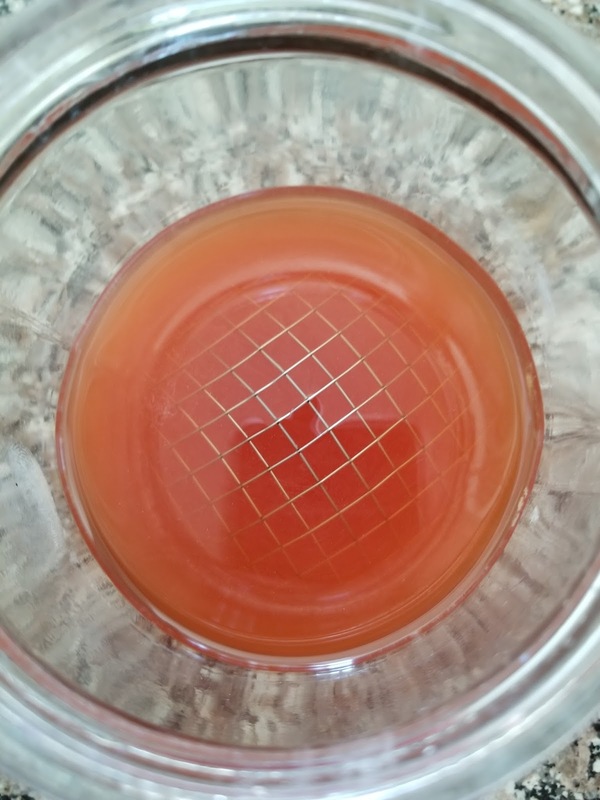 Open jar with mesh in the bottom containing Turpenoid Natural. 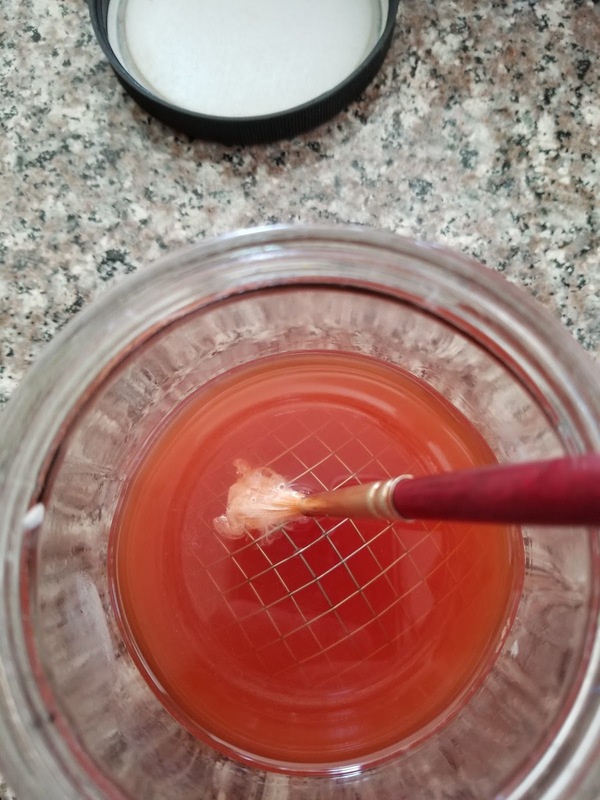 It's not normally pink, I was painting a lot of red yesterday and it hasn't completely settled on the bottom yet. the liquid just covers the mesh. It should be fully submerged. Squeegee the paint out of the brush either with a newspaper or paper towel. Get as much paint out as you can. 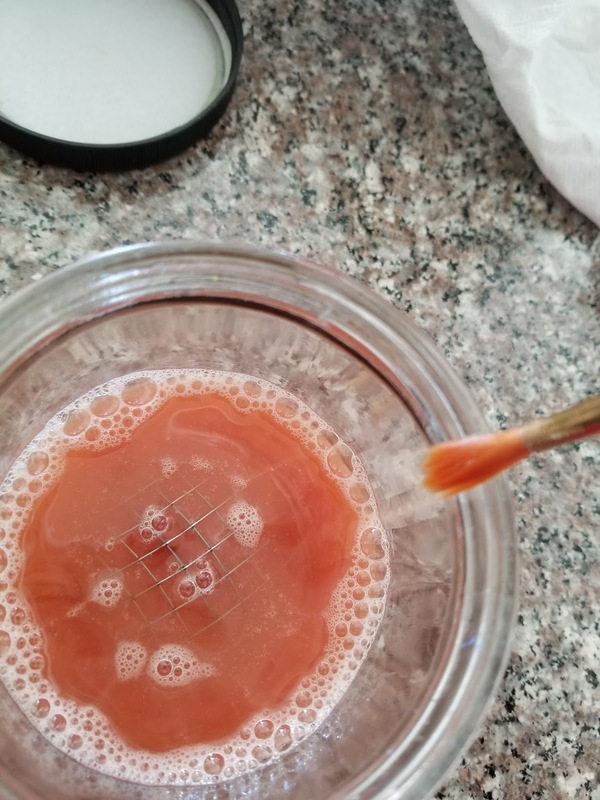 Wipe the remaining liquid off of the brush back into the jar. 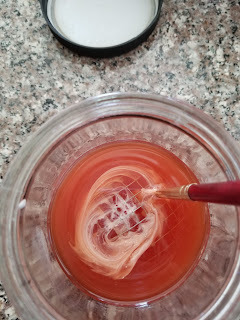 The paint will settle into a sediment layer on the bottom of the jar and the liquid will appear almost clear (yellowish) again in a day or two. Conserve and get as much back in the jar as possible. Rinse the brush in water. Gasp! I know, but it is nontoxic and this is proper and safe. That's it. I sometimes will dip a clean brush that needs some TLC into the bottle, pinch it dry with my finger tips and let it sit overnight. 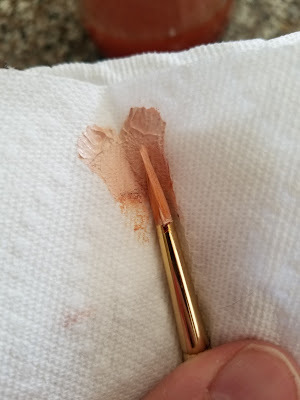 This works on all size brushes. I often paint in large format and have used house painting brushes. 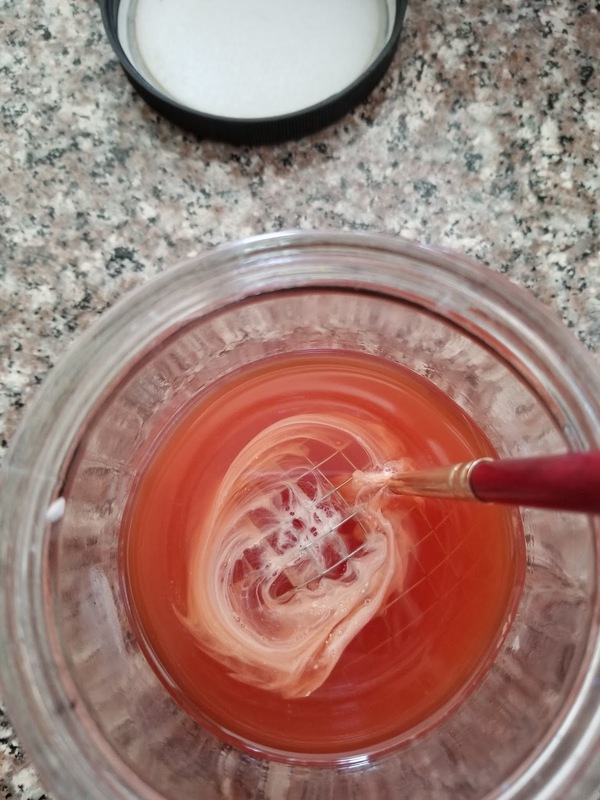 If you can find a jar and some mesh your brush will fit in, it will clean and condition that brush.